and enter your info into the add-on settings. Add-on community support group for Dead Of Night can be found on Telegram, Twitter, which you should follow, to keep on top of updates and news. Dead Of Night categories are :- Movies - TV Shows - True Crime - Documentaries - Search - Pair With Sites - Authorize Real Debrid - Settings. Enter SANDMAN in the bottom box > Click OK. Install from zip file > SANDMAN > repository.sm-x.x.zip. 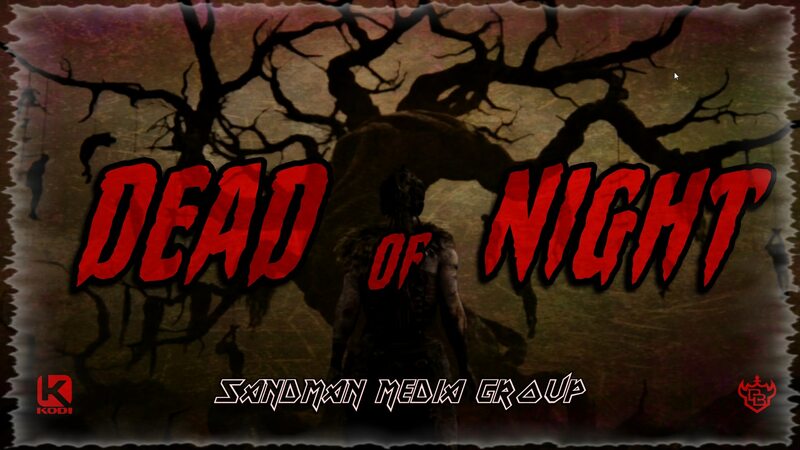 Install from repository > Sandman Media Repo > (Video/Music/Program) add-ons > Dead Of Night > Install. Congratulations, your Dead Of Night Add-on is now installed and ready to use. > Congratulations, your Dead Of Night Add-on is now installed and ready to use. Kodi third party add-ons are NOT supported by the Kodi/XBMC foundation. Please do not post questions on the forum.kodi.tv website relating to this Dead Of Night add-on.